Finding a QuickBooks expert can be difficult. After all, the accounting program is a surprisingly powerful tool with many useful features. And although many companies and individuals tout services that educate customers on how to set up and use QuickBooks, many don’t have more than a basic grasp of the software. 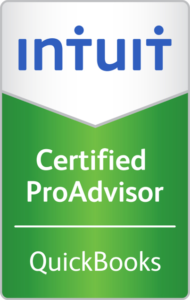 Consequently, if you’re realizing you need help with QuickBooks, make sure to look for the QuickBooks Certified ProAdvisor badge. QuickBooks ProAdvisors are professionals trained and certified in setting up, maintaining and troubleshooting QuickBooks. They must pass an extensive exam each year to remain current. RPB has several Quickbooks Certified ProAdvisors on staff to help support you every step of the way. Whether you’re looking to simply get set up, are in need of basic training, or are desperate for advanced troubleshooting consulting, our ProAdvisors have extensive knowledge of the software and will guide you step-by-step to the necessary solution. Monthly Quickbooks Tip newsletter: your monthly guide to becoming more proficient at QuickBooks. You’ll receive tips, tricks, guides and video tutorials on topics ranging from software usage to bookkeeping best practices, and everything in-between.